Best for: All Preperation time: 5 MIN. 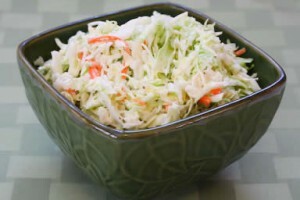 Cabbage Slaw recipe by Armeen at PakiRecipes.com. MIX ALL THE INGRIEDIENTS IN MAYYONAISE AND SERVE WITH CHIPS.